Here at GoJane we're all in a frenzy over these heels. Just look at them! 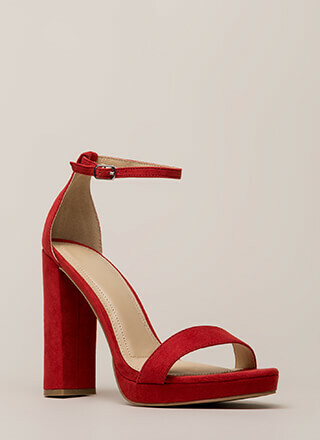 Chunky, peep-toe, vegan suede heels feature tiny dome studs throughout, a scooped toe panel, crisscrossing vamp straps, a skinny ankle strap, and two adjustable buckles on one side. Shoes are finished with a ridged sole and a rear zipper for easy on and off.